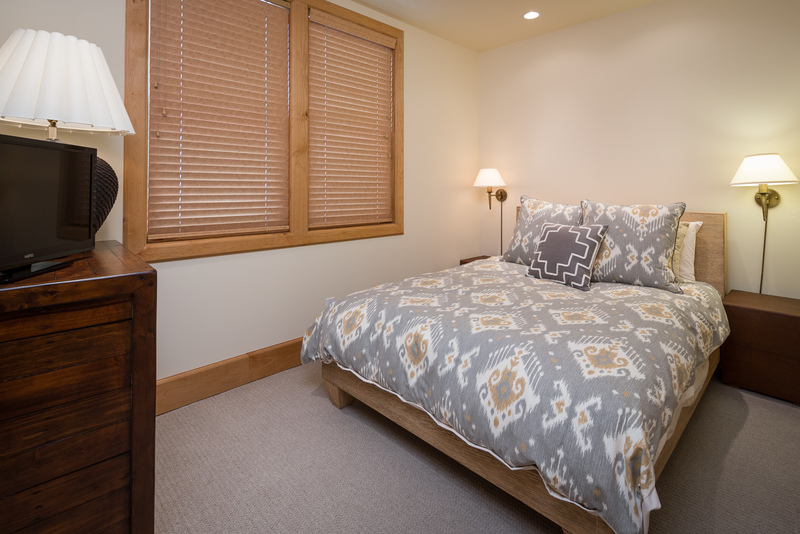 Single-family and individual condo vacation rentals located throughout Telluride and Mountain Village. Bedding: King bed, queen bed. Enter the apartment by walking up the sidewalk at the left (west) side of the 'home' and then up the stairs to the right. 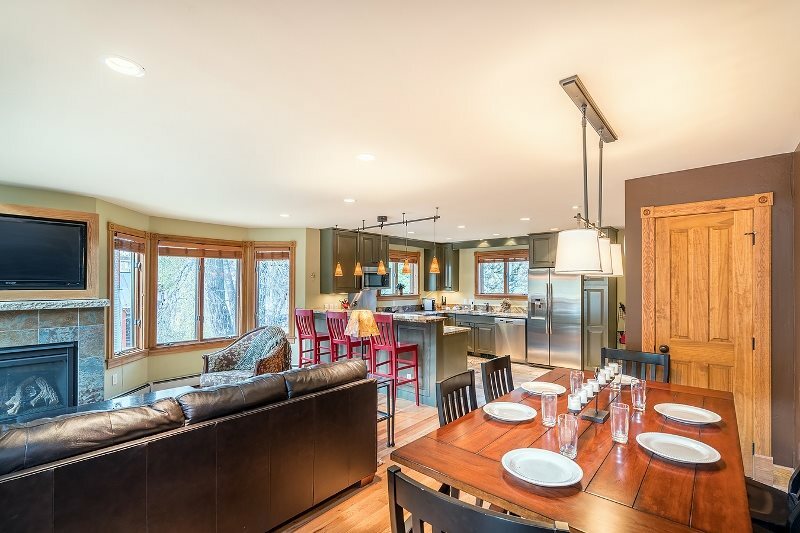 Enter the dining room/living room, with vaulted ceilings and wonderful mountain views of Mendota Peak. 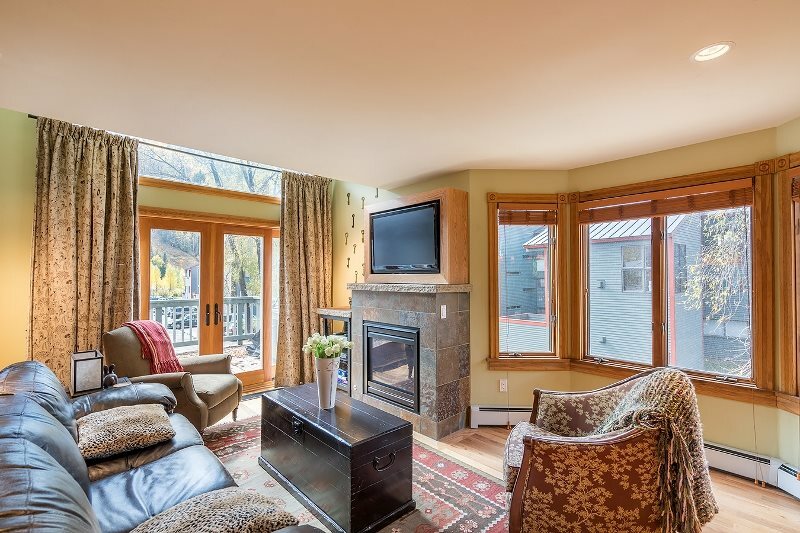 In the living room is a 46 inch flat-screen HD/LCDTV w/VCR and DVD and stereo with CD, as well as a gas fireplace. 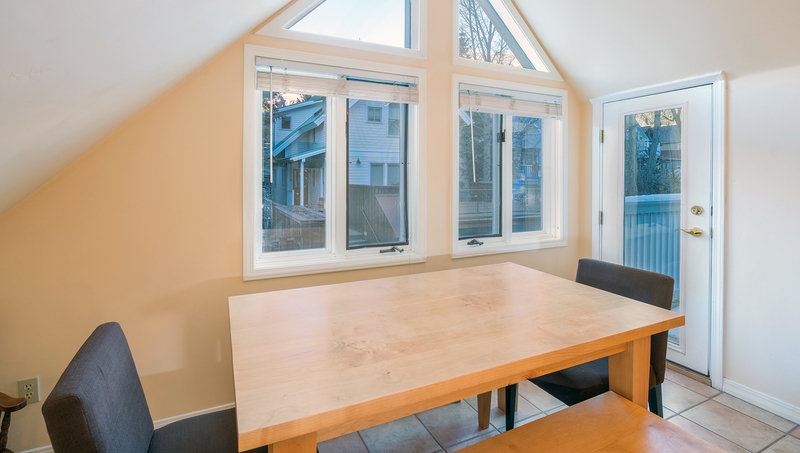 The dining table seats up to 6 guests. 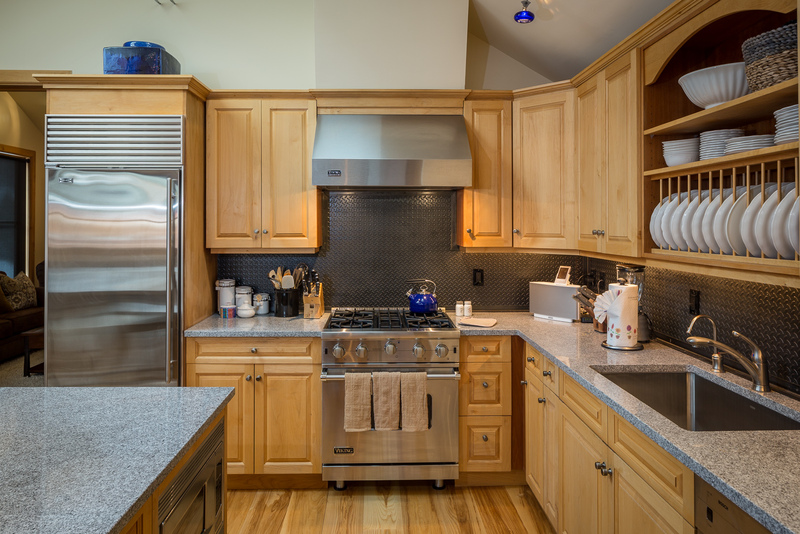 Down a short hall is the kitchen with black granite counter tops, kitchen island, TV, and a cozy breakfast nook. 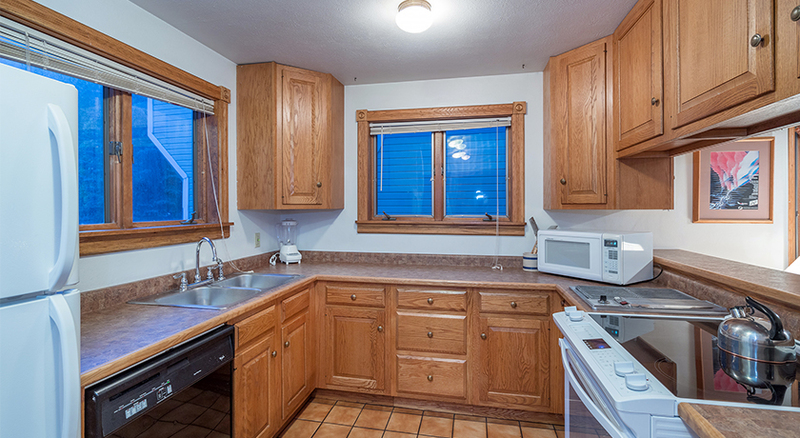 Here is where you will find the 1/2 bath and a washer/dryer. Upstairs is the master bedroom with king bed, 32 inch flat screen TV, private bathroom with steam shower and jetted tub with skylight. 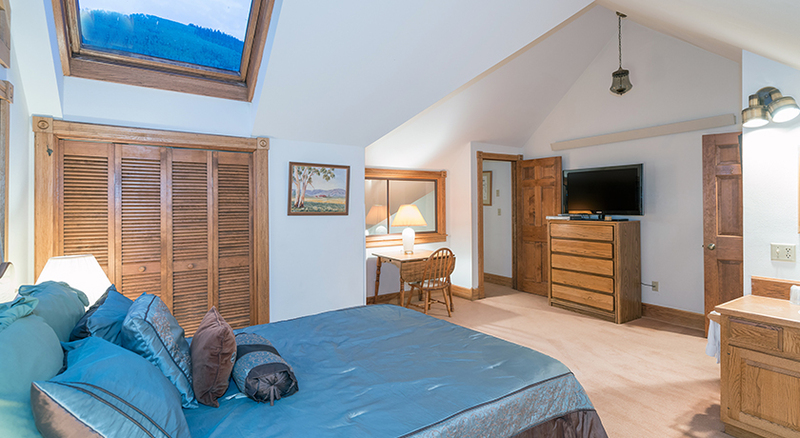 Both bedrooms have doors to the balcony with amazing views west and north over the roof tops to the surrounding mountains. The 2nd bedroom has a queen bed with Tiffany reading lamps and a 29 inch flat screen TV, and a bathroom with shower only, finished in marble tile. 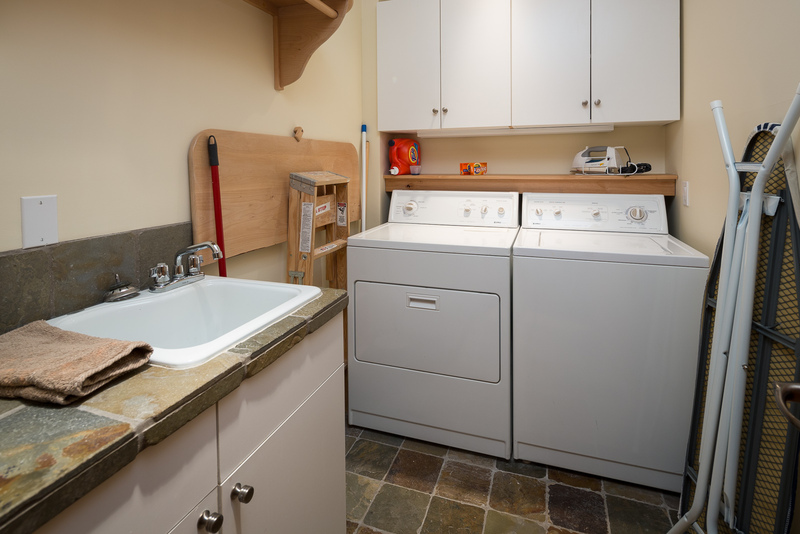 The condo has its own washer/dryer, free wireless Internet access and a parking space off the alley. The free town shuttle stops across the street for easy access to downtown and the Gondola. 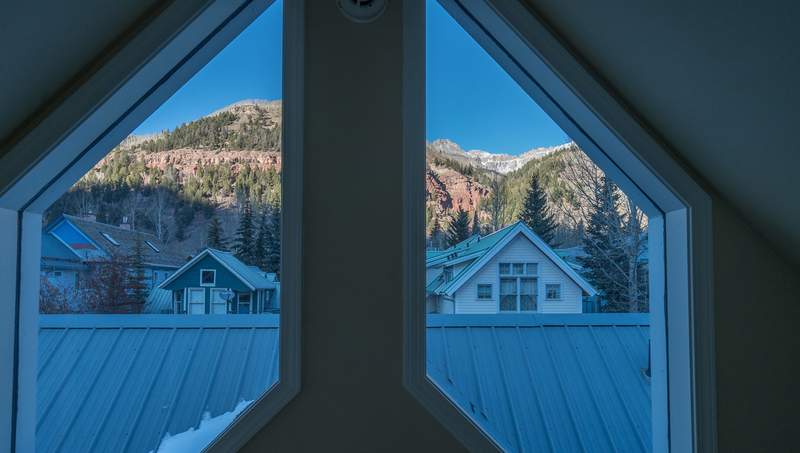 The Mintz Residence is a beautiful townhome with upscale decor and in-floor heat within walking distance of everything Telluride has to offer. Bedding: Queen bed, 2 twins (can be made king), queen sleeper sofa. Sleeps 6. 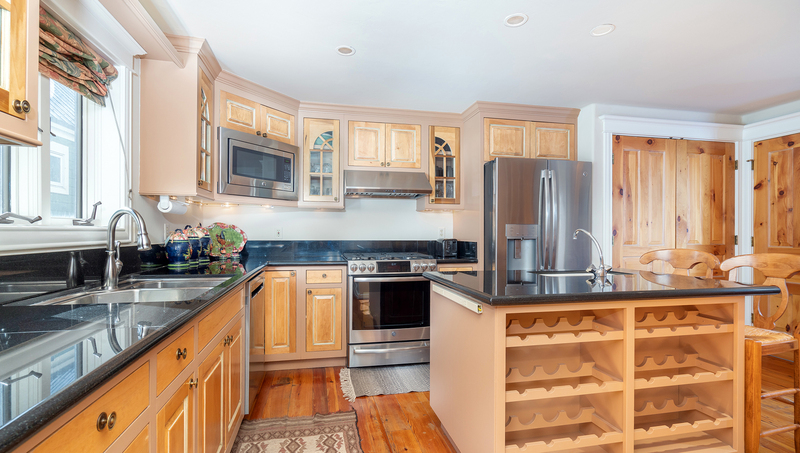 This private townhome is a three-story guest house located on the alley-side half of a lot of a home on Depot Avenue. The residence is private and quiet with a shared outdoor hot tub with the front residence. 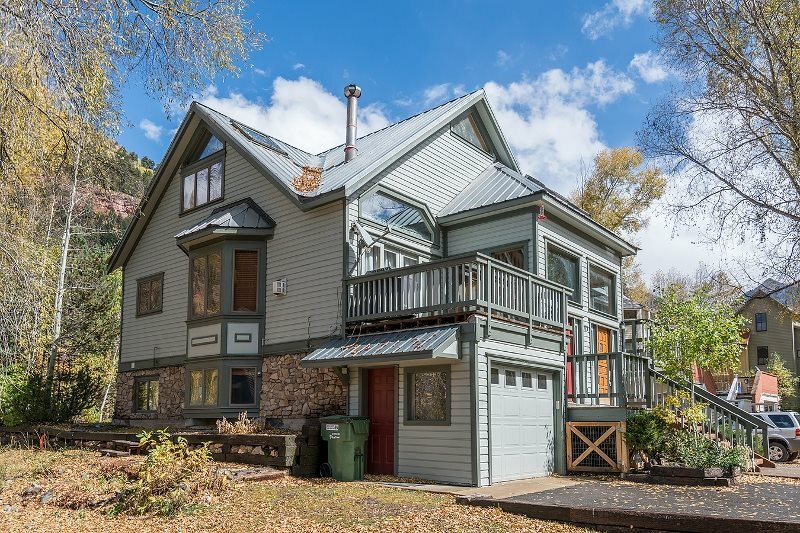 Itâ€™s located near the Gondola and everything downtown Telluride has to offer, as well as near the River Trail and other outdoor activities. You enter this home on the first floor, where two of the bedrooms are located. 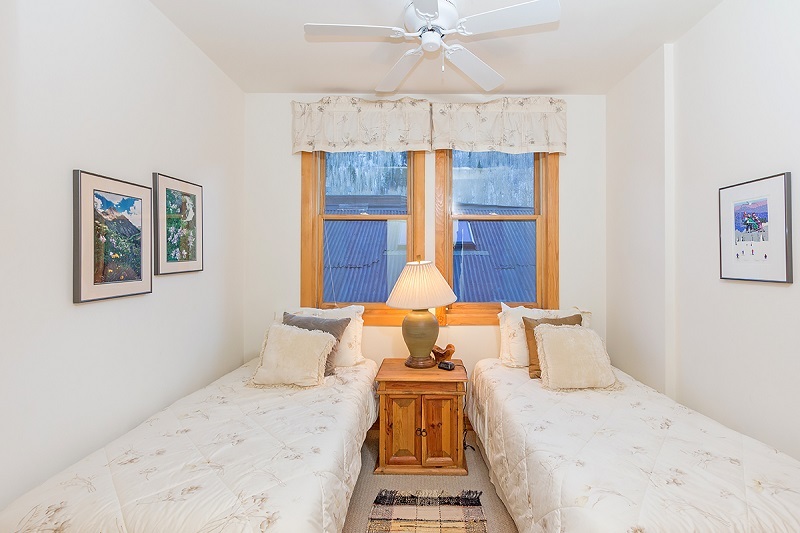 The first of the two rooms has a queen bed, while the second bedroom has two twin beds that can be made into a king bed. 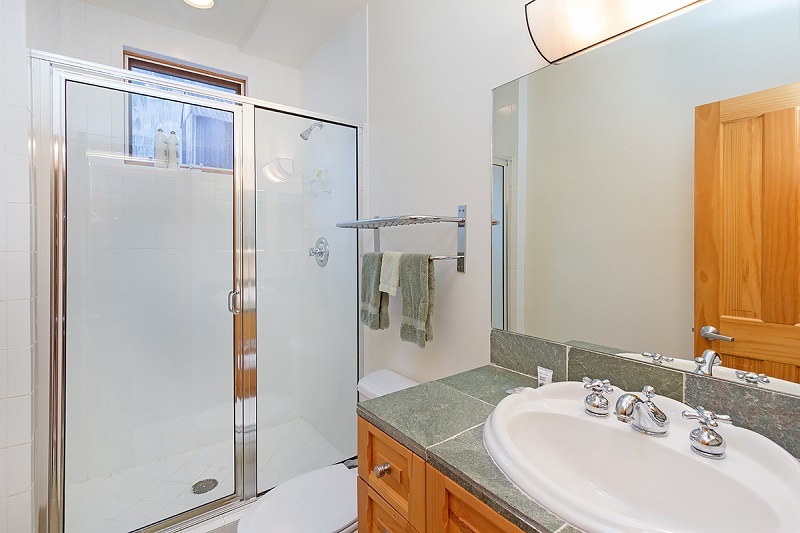 There are two bathrooms located on this floor, one with a step-in shower and the other with a soaking tub and shower combination. A washer and dryer are also located on this level. 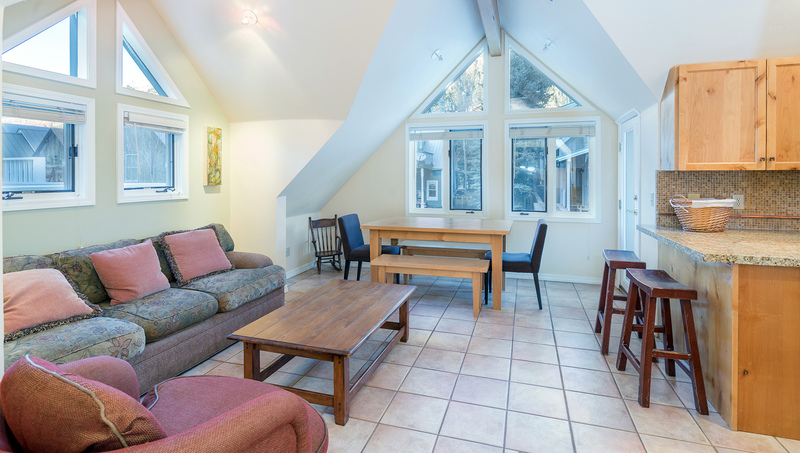 The second floor is home to the large, open living space with plenty of views from every window. 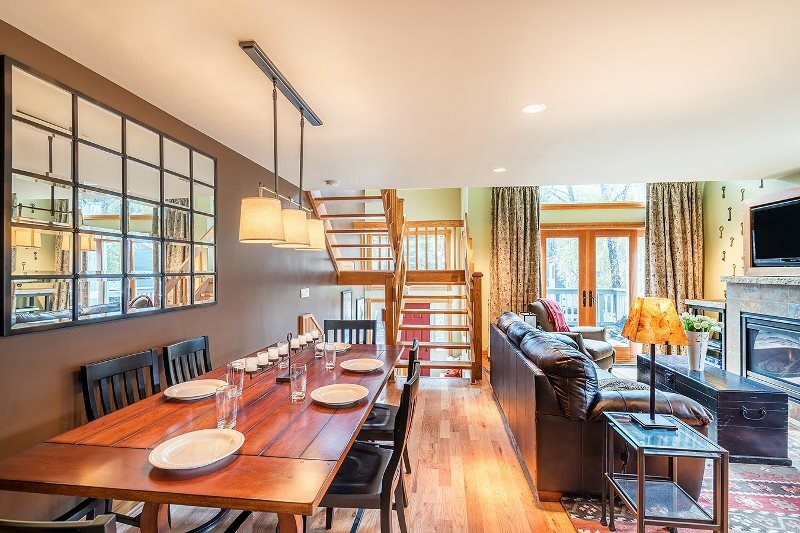 The living area is open to both the kitchen and dining room with access to a small deck with a view of the box canyon. 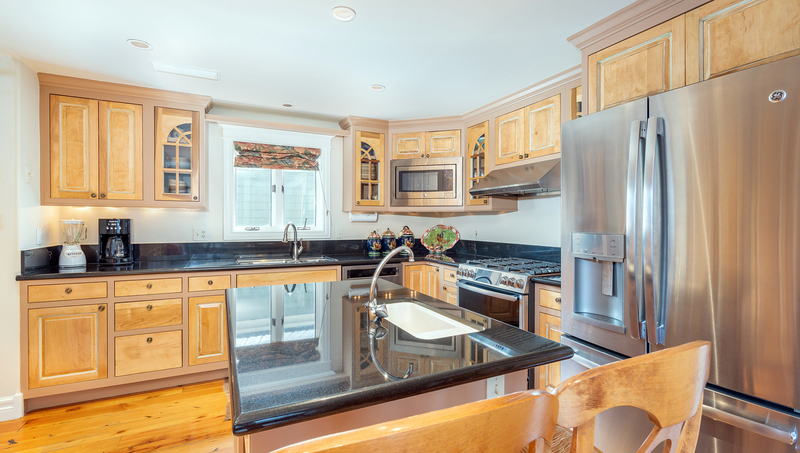 The kitchen is upgraded with stainless steel appliances and granite counters, as well as a breakfast bar with seating. There is also a den on this level that features a pull-out queen sleeper sofa, a desk and a flatscreen TV with DVD, HDMI and DirecTV. A full bathroom with a shower is also located on this level. 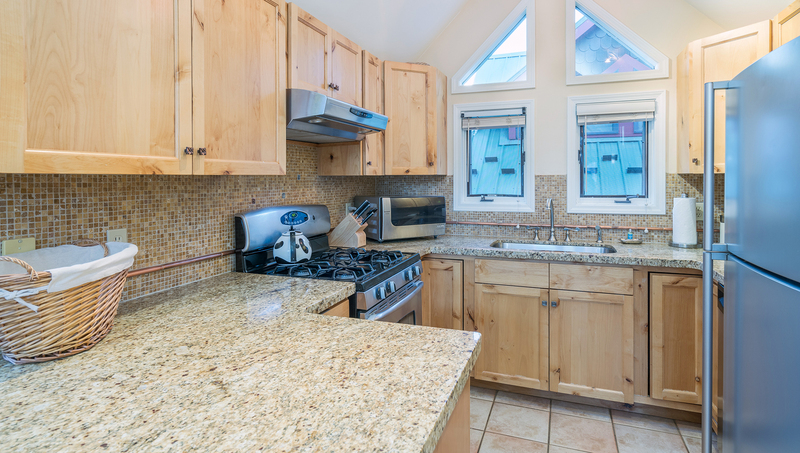 The third floor features a deck with stunning views of the surrounding mountains and a shared hot tub. This home has complimentary wifi and parking for one car in the garage. Itâ€™s located steps from the gondola, four blocks from Town Park and steps from the River Trail. 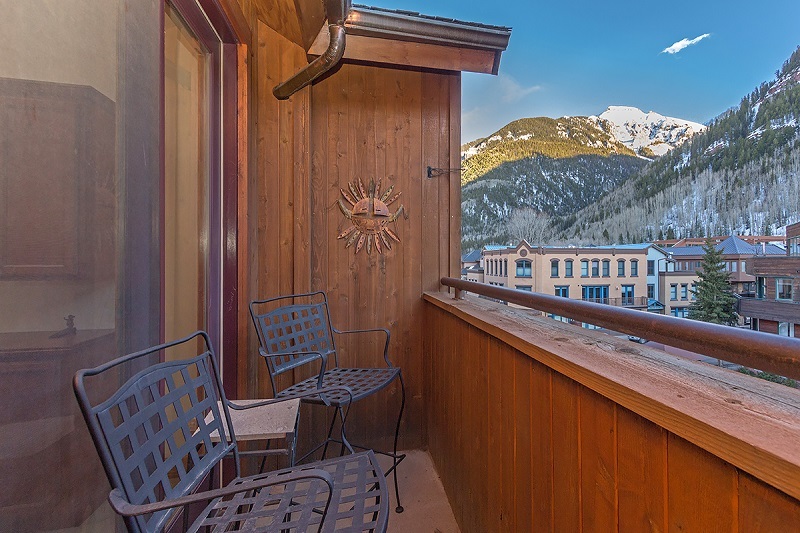 Shops, restaurants and all of our beloved Telluride activities are just outside your door. The free in-town shuttle also stops nearby for even quicker access to everything in town. Located right off main street and only a block from lift 7, the grocery store and deli; Mountain House East is sure to please! Bedding: Queen, Double, 2 sets of bunks, queen sleeper sofa. You enter from the second floor and there are 3 levels to the condo. Entering the home from a landing with boot bench, half a flight up is the living room, dining and kitchen area. 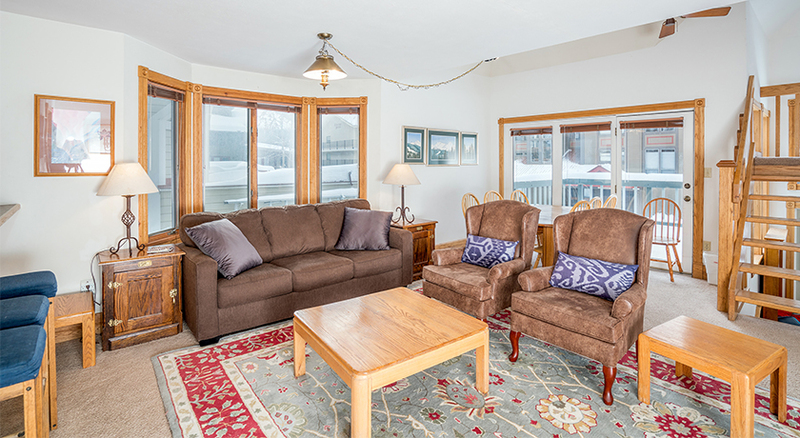 The living room has comfortable decor with a 42 inch flat screen TV, DVD player and a queen sleeper sofa. The dining area has seating for 6. 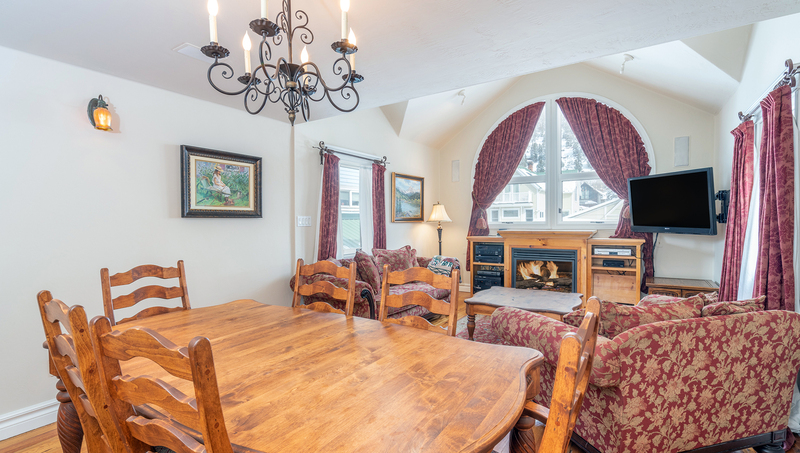 Right off the living room is the deck with wonderful views of the ski area. 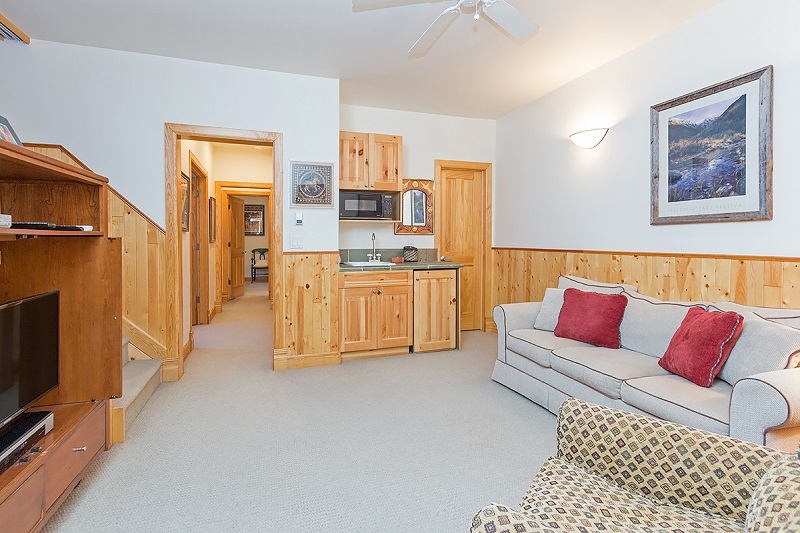 Upstairs is the master suite with a 32 inch flat screen TV, queen bed and private bathroom with a shower/tub combo. Downstairs from the living room are the second and third bedrooms and the second bathroom. The second bedroom has a double bed and 19 inch flat screen TV. The third bedroom has 2 sets of bunk beds. The second bathroom is off this hallway and has a shower/tub combo. 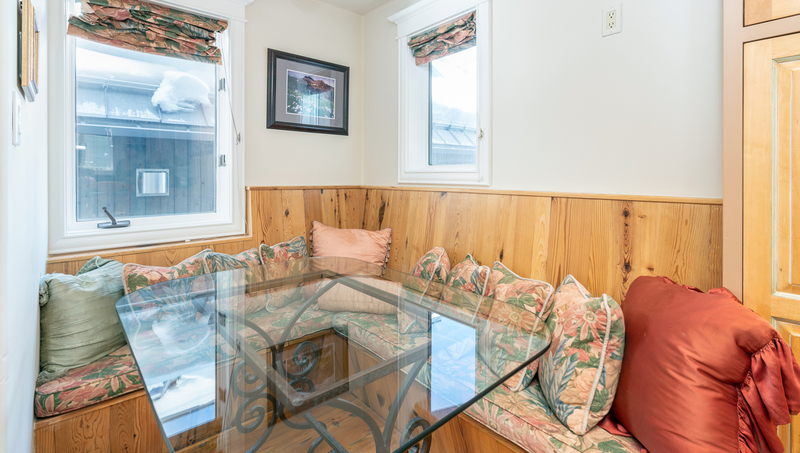 This condo also includes carport parking for one car, an additional parking space for another car outside of the carport and a private washer and dryer. 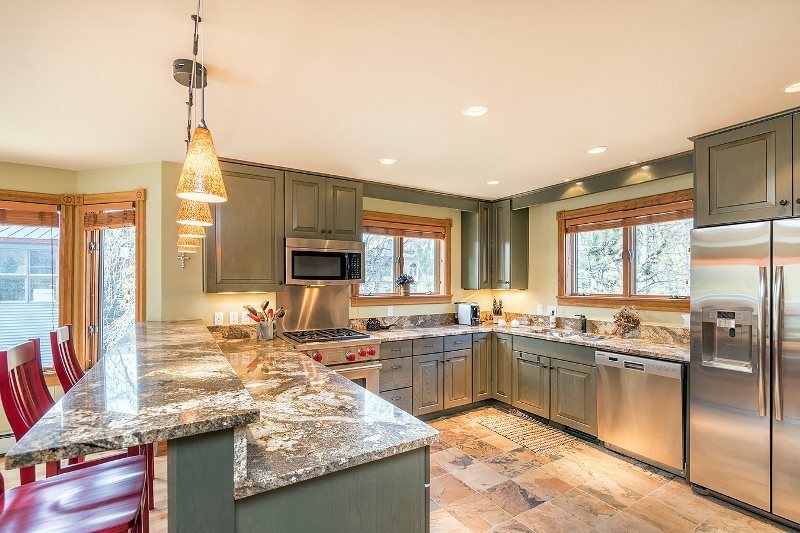 â€¢ Tons of natural light throughout - huge windows! 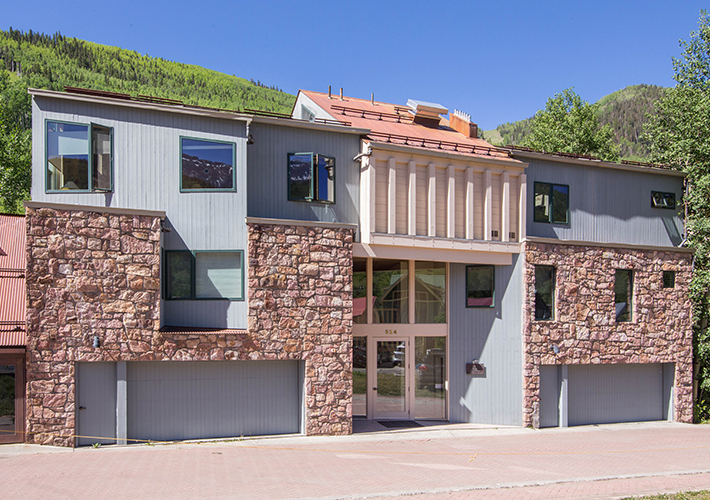 River Edge A is a classy 2-bed/2-bath condominium located on the banks of the San Miguel River in the Historic Depot District, a neighborhood much prized for its proximity to the river, the free Gondola and the center of Telluride. The River Edge Condominiums enjoy a strong reputation locally due to the quality of construction and its terrific location. From the ground floor entry, Unit A is located down one flight of stairs on the lowest level of the building. 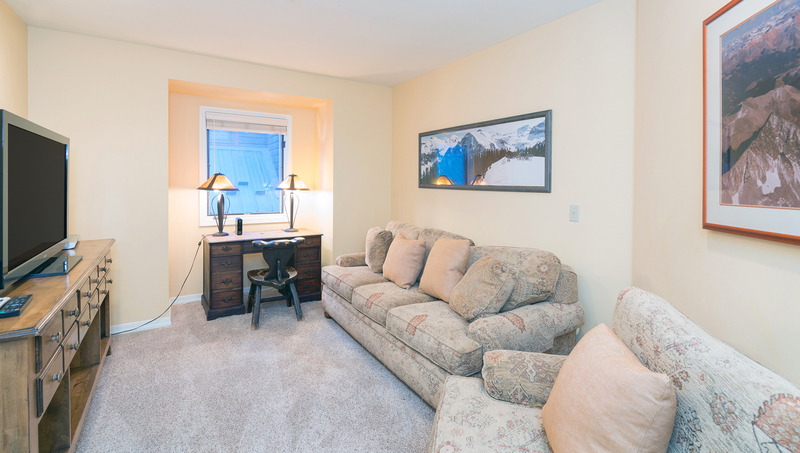 An entry hallway and coat closet are found behind the unit door which is clearly marked A. The hallway leads into the dining area with seating for 6. The open floor plans leads into the living room with a wraparound sofa and a cozy lounge chair. 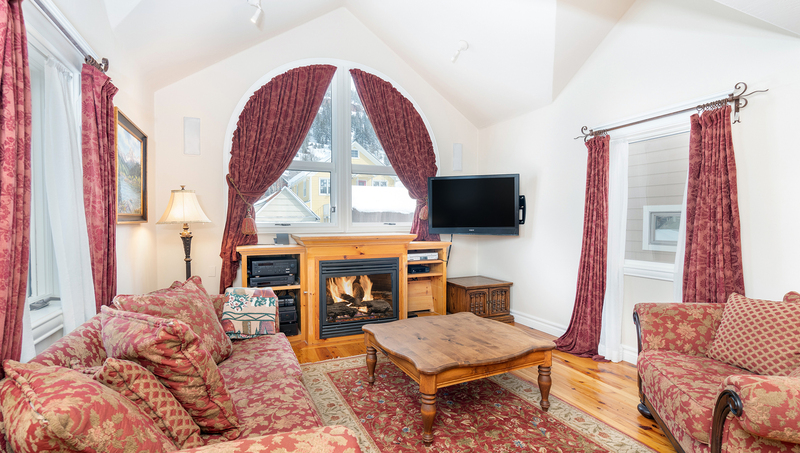 The space is warmed by a corner gas fireplace and features a flat screen TV with DVD. 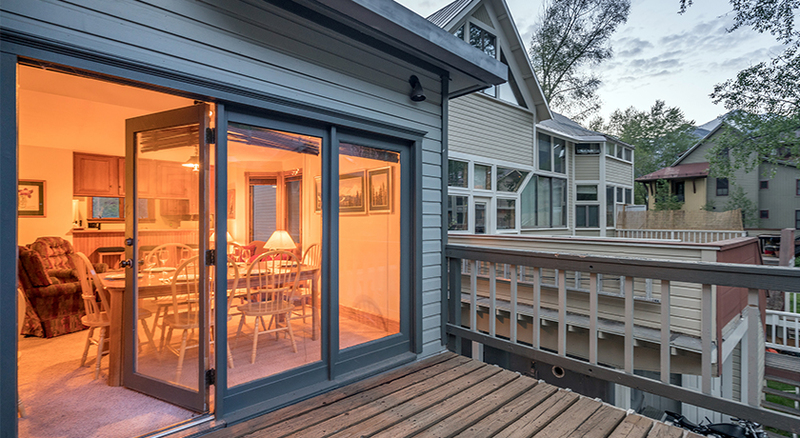 The garden-level windows fill the space with loads of natural light and create a very natural setting, bringing the forest floor on the edge of the river inside. 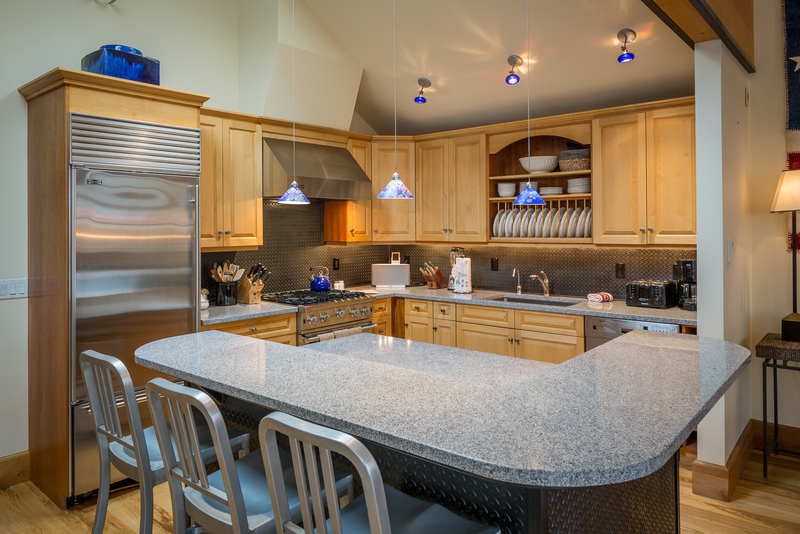 The open and spacious kitchen completes the living spaces, featuring GE Profile appliances, a bar area with seating for 5, plenty of storage and counter space and all of the kitchen creature comforts you could desire. The first bedroom contains a King Bed, and its attached bath features a luxurious jetted tub with shower and double sinks. 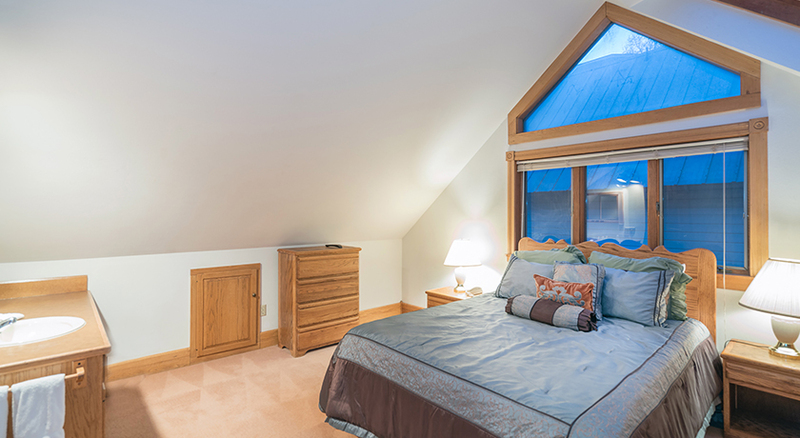 The master bedroom with en suite bath has a Queen bed and a large stand-up steam shower. 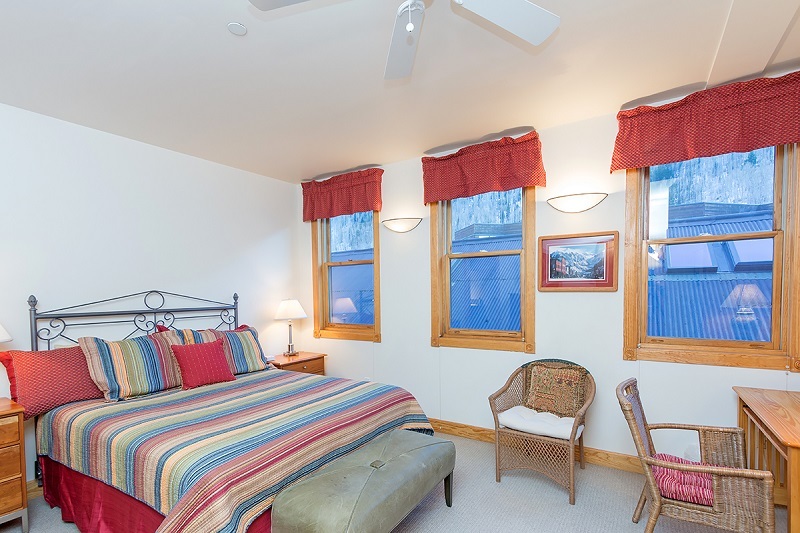 A third flex room, perfect for the kids, contains two twin beds and a trundle bed. River Edge A has one parking space in a heated garage. The assigned ski locker is located in the garage as well for convenient ski and gear storage after an epic day on the slopes or trails. The unit is equipped with high-speed Wireless Internet. 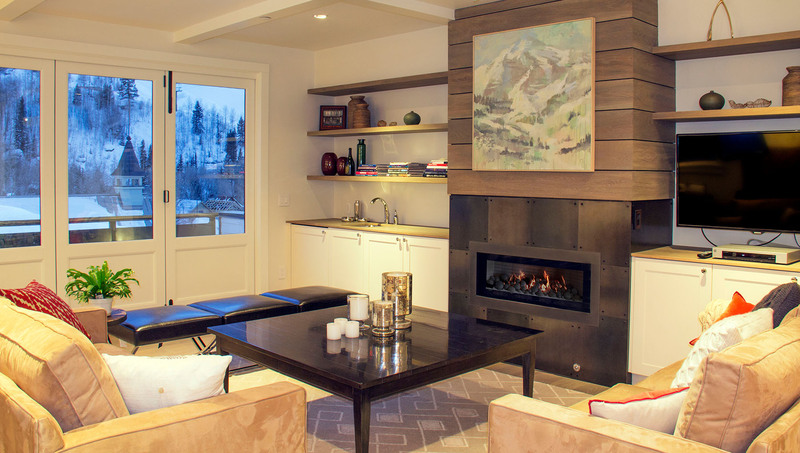 Located in the Town of Telluride, the Tomboy Townhome is steps away from Lift 7, Clarkâ€™s Market, Downtown Dining and Shopping. 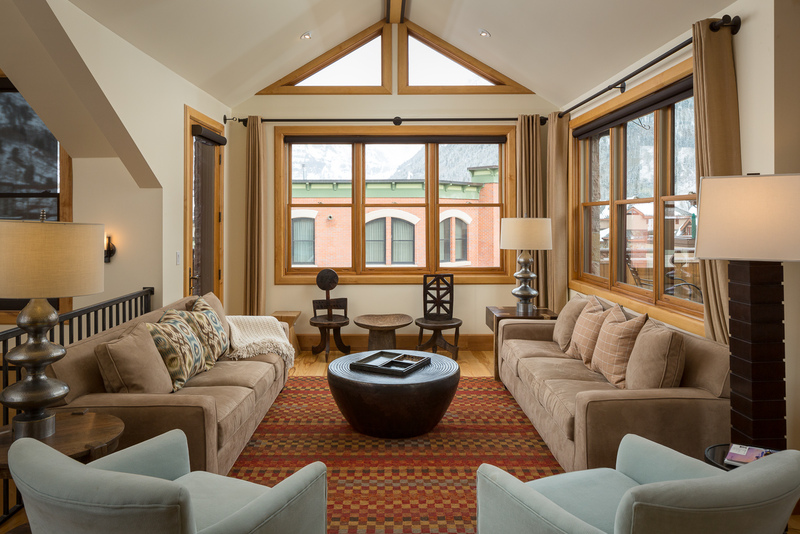 Live like a true Telluride Local!